A small, members-only showing on the first day of spring offered an advanced preview of a planned public screening later this year. Come back or watch the Gleason Public Library calendar for more information later this spring. 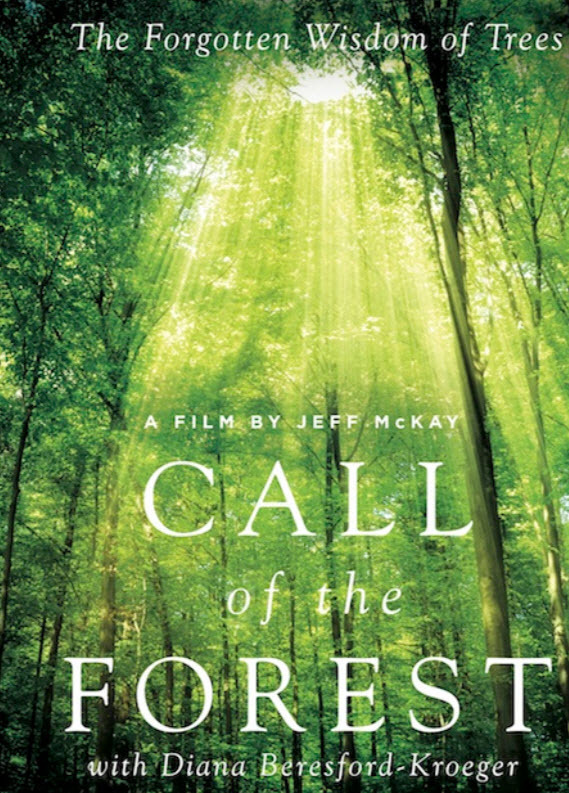 This beautiful indie film written and narrated by Diana Beresford-Kroeger, a visionary bioscientist who is celebrated as "one of the last of the Druids" for her love and lore of native forests. She describes the vital role of trees on our planet and the many fascinating benefits of the stress therapy known as "forest bathing." Travel with her as she crosses the globe -- from the forest shrine in the center of Tokyo to the Boreal forest at the top of the world -- to meet with experts and activists who reveal how trees enable life as we know it. Finally, she proposes that each of us plant "at least one native tree somewhere on our own property for each of the next six years."